Nokia Lumia 510 is newest product from Nokia lumia technology which come with cheaper price than other lumia. With 7 GB of free online storage on Microsoft SkyDrive in Nokia Lumia 510, you can back up your files online. And with Microsoft Office built-into your Nokia Lumia 510, you can download, edit and share your document on the go. Pick your favourite websites, apps and people. then pin everything to your home screen so you can see your world at a glance. As things change, so do the tiles. this way you're always ahead of the game. Nokia Lumia 510 supported with available much color. 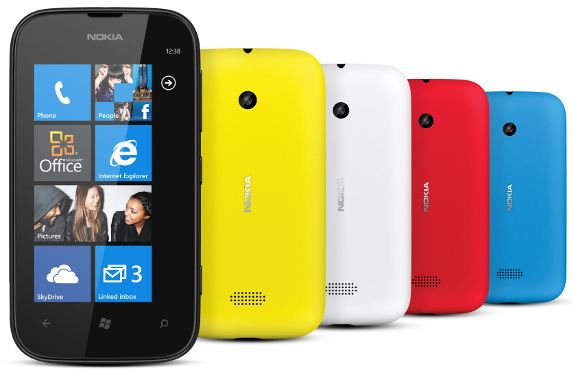 you can come and bring Nokia Lumia 510 on your life with your favorite color. Nokia Lumia 510 in matte and soft-touch finisher. And its screen is a whopping 10.16 cm (4")-perfect flicking through photos, checking email attachments and browsing the web. Learn more Nokia Lumia 510 with download Nokia Lumia 510 user manual in below and fun life with your Nokia Lumia 510.